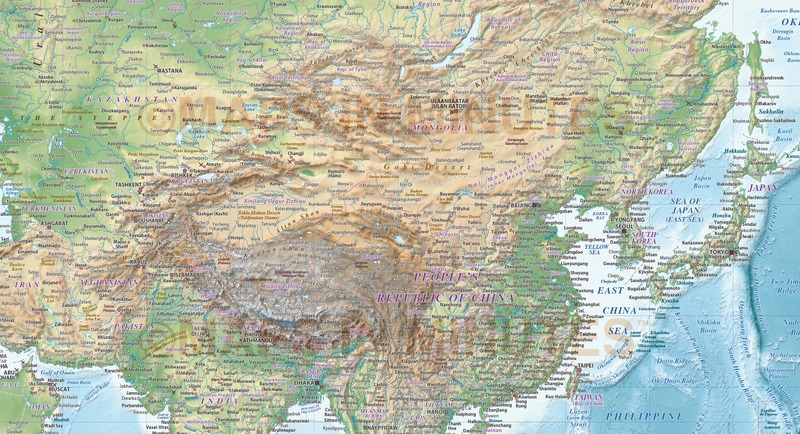 Detailed World Map, Illustrator AI digital vector map CS6/CC with a high resolution relief background option at 300dpi. Fully layered file 100% editable. 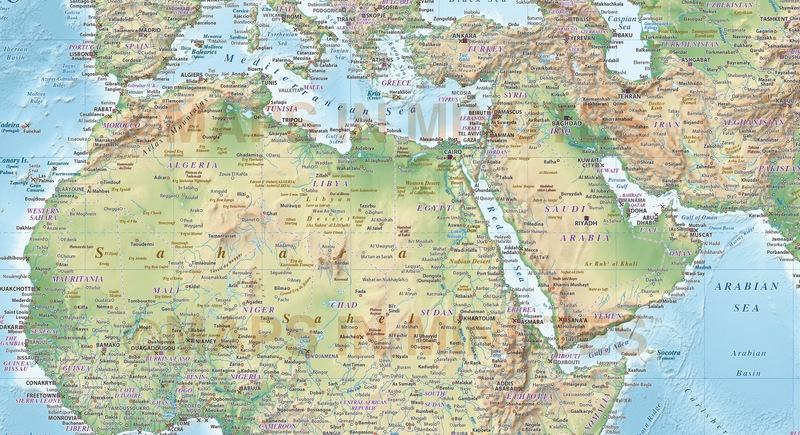 Large Illustrator AI format World vector map, political and relief in the Gall projection with high quality colour relief 300dpi tiff background option. 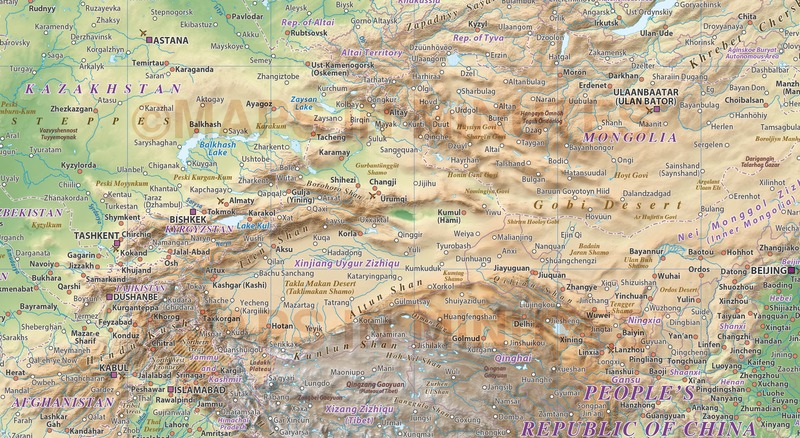 This map has been printed to some extraordinary sizes with superb results. 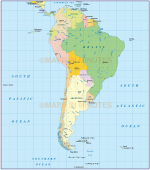 Popular for Travel Companies, Boardrooms and offices, schools, Television and Movies. 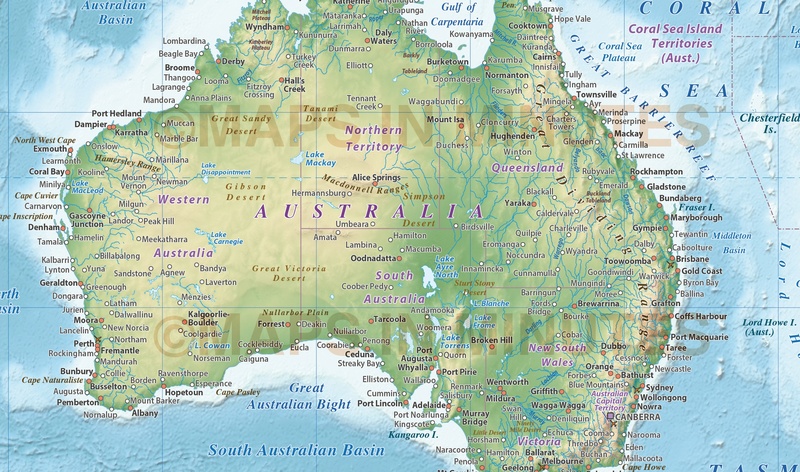 Anywhere you need an informative map that makes a big impression. 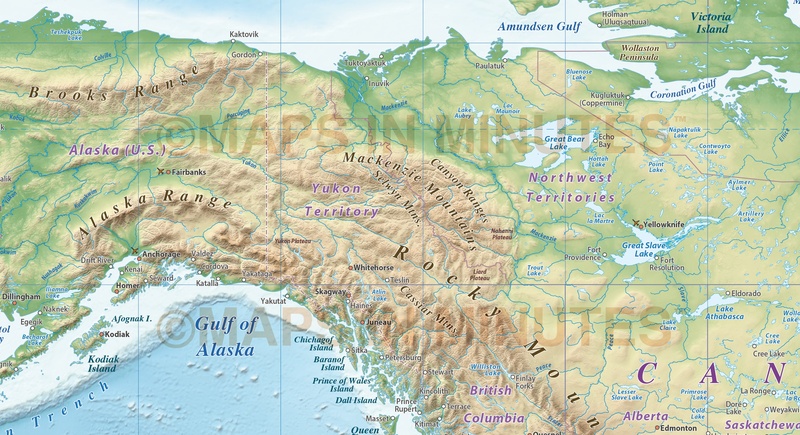 Illustrator layers include: Coastlines, country borders, country fills, country insets, country names, sea/ocean feature names, rivers, major/minor lakes, river names, lake names, island names, physical names, capital cities (2 sets...one all the same size and a second set layer by population) plus over 3500 settlements (layered by population), major airports plus latitude/longitude @ 10, 5 & 1 degree intervals. 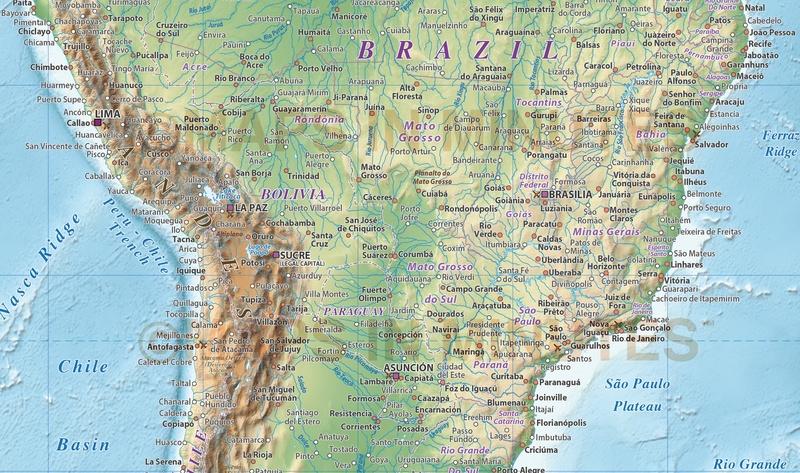 Includes first level borders, fills and insets of Australia, Brazil, Canada, China, India, Russia and the United States. 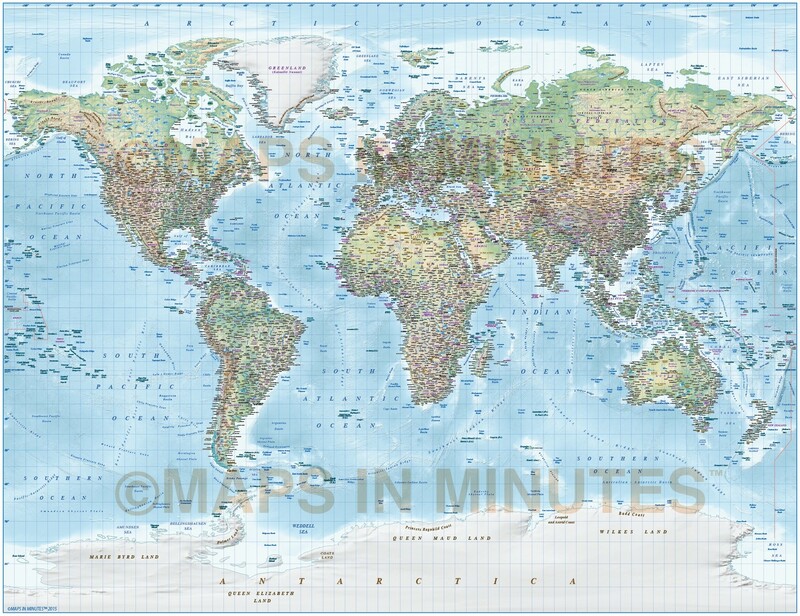 300dpi tiff format linked colour relief background for land and ocean floor plus map key. Formats: Choose from Illustrator CS4, CS5 or CS6/CC. Extracted Document sizes: Illustrator CS: 85Mb plus Tiff format relief: 330Mb linked 300dpi background. How to download: You will be able to download by logging in to Your Account where you can check the status and details of orders (including applicable Product End User Licence). You can download product purchases for a period of 10 days from date of purchase. 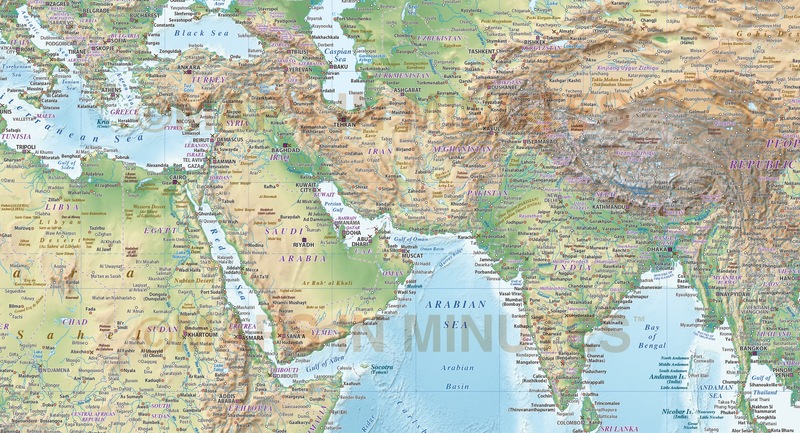 Authors notes: This stunning map is updated and ready for 2018. Suitable for A1 up to almost any size. 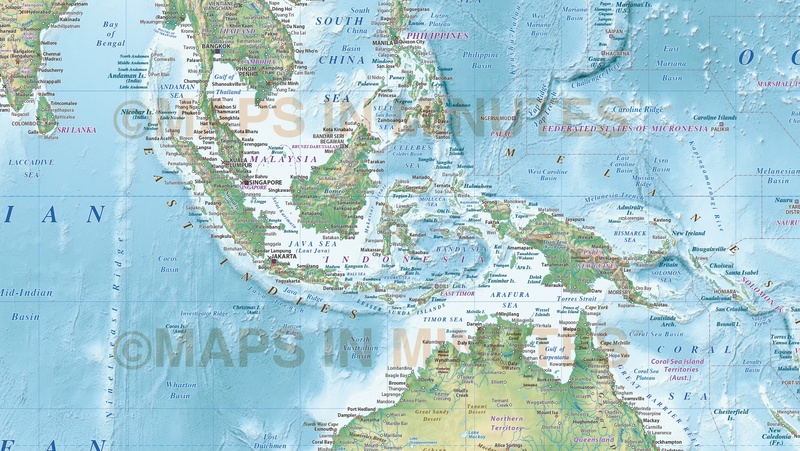 These digital maps are used to print our giant wall murals which gives an indication of maximum size usage. 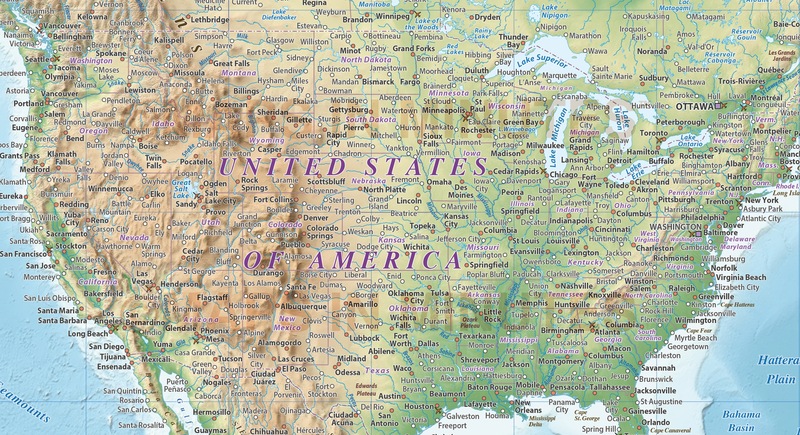 This detail is so good regions can easily be cropped for use. If you would prefer to purchase a set of world maps please visit our Map Collections category.